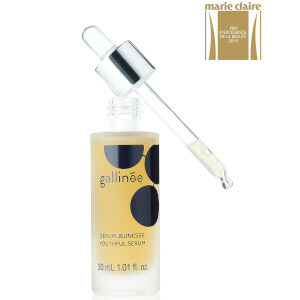 Reset skin with Gallinée’s innovative Face Vinegar; a skin-rebalancing toner that purifies, soothes and repairs the complexion, shrinking the appearance of enlarged pores and brightening skin. Enriched with a prebiotic called Actibiome that works to calm stressed skin and prevent it from further irritation, inflammation and ageing alongside postbiotics that promote the skin’s beneficial bacteria to flourish, the Face Vinegar utilises its antioxidant powers to protect skin from oxidative stress. The multipurpose, exfoliating formula improves skin through purification, protection and proliferation, with Acetic Acid to gently dislodge dirt and harmful bacteria and Alpha Hydroxy Acid to stimulate healthy renewal for smooth, refined skin. Gallinée’s Face Vinegar acts like a toner. To be used morning and night, soak a cotton pad in the vinegar and swipe across cleansed skin, avoiding the eyes.